In 2014, after the Revolution of Dignity in Ukraine, a major shift occurred in geopolitical priorities. The Verkhovna Rada of Ukraine and the President of Ukraine declared their commitment to Ukraine’s integration into the EU. However, our European partners have set an indispensible condition for Ukraine’s integration — eradication of corruption. In early 2016, Ukrainian President Petro Poroshenko said that the country had all the prerequisites to combat bribery and corruption. To that end an entirely new and politically independent anti-corruption bodies have been created such as the National Anti-Corruption Bureau of Ukraine and the Specialized Anti-Corruption Prosecution. In addition, reform has been carried out by the structural units of the Ministry of Internal Affairs of Ukraine to create the National Police of Ukraine. 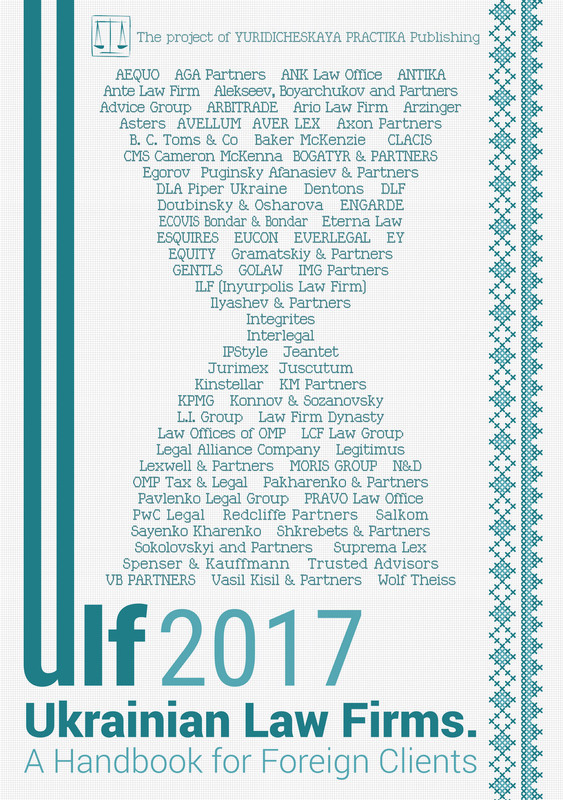 It should be noted that the activities of anti-corruption bodies marked a new milestone in the development of the criminal law practice in Ukraine. This development is primarily due to the fact that in comparison with other bodies of preliminary investigation, the National Anti-Corruption Bureau of Ukraine has started broader use of procedural instruments determined by the Code of Criminal Procedural of Ukraine, particularly in the part regarding use of new technologies, acquiring information through international cooperation, etc. It should be noted that such procedural actions do not always meet the requirements of current criminal procedural legislation of Ukraine which is, in turn, rather often and successfully used by the defense, and it is under such conditions that new judicial practice in criminal law is being formed. A striking example of what is mentioned above is the formation of court practice on appeal by a person concerned against a sentence approving a plea bargain. Thus, the provisions of the new Code of Criminal Procedure provide for the possibility of making, at any stage of the criminal proceedings, a plea bargain. It should be noted that such provision was absent in the Criminal Code of 1960, and, thus, pre-trial investigation bodies, without having full understanding of the benefits of the deal, were reluctant to use that legislative novelty. In carrying out pre-trial investigation, detectives of the National Anti-Corruption Bureau of Ukraine, on the contrary, exercise the option of making a plea bargain on every occasion in order to obtain a judgment (sentence). Despite the guilty plea by, for instance, the chief of a state enterprise, who said the decision will declare the fact of pressure on him by a representative of a state body, in whose jurisdiction the enterprise is located. Later, this sentence will have a prejudicial meaning in proving the guilt of the official of the state body, who allegedly exerted pressure. In this case, such official will, because of the requirements of Article 394 of the Criminal Code of Ukraine, be unable to appeal against the sentence approving the plea bargain and declaring the fact of committing a criminal offense. However, court practice went another way, different from what is provided for by the Criminal Code of Ukraine. Thus, by this time a number of decisions of appellate and cassation instances have been made under which sentences approving plea bargains are canceled upon a claim by a person who is not a party to such a bargain, provided that the person proves violation of his or her rights and interests by the bargain. Therewith, the legal grounds for appeal by the person concerned of the decision approving the plea bargain, as referred to by the courts, are provisions of Article 6 and Article 13 of the European Convention on Human Rights, which are superior to national procedural law of Ukraine. Quite interesting and, at the same time, contradictory is court practice on the dismissal of criminal proceedings on the basis of a court ruling of the investigating judge due to omission by investigators or detectives during the preliminary investigation. Thus, justifying the violation of the terms of the preliminary investigation after the announcement, the suspected person’s lawyer or the suspect himself apply to the pre-trial investigation body with a request to dismiss criminal proceedings, in which case they usually receive denial or such a request simply remains unanswered. Afterwards, the applicant applies to the court with the motion about omission by the preliminary investigation body, and asks to cancel the notification of suspicion and to adopt a ruling to dismiss criminal proceedings. According to court practice, there are already numerous cases where such kind of motions were granted and decisions obliging a pre-trial investigation body to dismiss criminal proceedings were adopted. Continuing the topic of the formation of court practice in the investigation of crimes bearing elements of corruption, it should be noted that in recent years the Verkhovna Rada of Ukraine has adopted rules that stepped up criminal liability for corruption-related offences. In addition, the notion of “corruption offence” was defined. An example of the abovementioned rules of criminal law, which set increased liability of persons for corruption-related offences may be the recent instigations of criminal prosecutions of inclusion by Ukrainian MPs of false information in the declarations of their property or other objects subject to declaration (Article 366-1 of the Criminal Code of Ukraine). Lawmakers also excluded the possibility of exemption of persons who committed corruption-related offences from criminal liability due to their active confession of guilt (Article 45 of the Criminal Code of Ukraine), reconciliation of the offender and the victim (Article 46 of the Criminal Code of Ukraine), release of persons on bail (Article 47 of the Criminal Code of Ukraine), and change of circumstances (Article 48 of the Criminal Code of Ukraine), as well as the appointment of a milder punishment than that provided for by law (Article 69 of the Criminal Code of Ukraine) and release with probation (Articles 75, 79 of the Criminal Code of Ukraine). This means that the courts, in compliance with the requirements of criminal law, started to pass sentences with award of penalties specified in the sanction part of relevant articles of the Criminal Code of Ukraine without using the rules on exemption from punishment, which existed until recently. A characteristic feature of 2016 is that, despite the large number of criminal proceedings instigated for committing corruption-related offences, the number of cases of illegal seizure of enterprises (businesses) has increased significantly. The root cause of these regrettable statistics was the adoption in 2015 of a number of laws and regulations on decentralization of powers in the sphere of state registration of legal entities and state registration of rights in immovable property. The adoption of those regulations was well intentioned — to simplify doing business in Ukraine by giving notaries public the authority of the state registrar, eliminating a linkage to a particular administrative-territorial unit in the commitment of registration actions (so-called extraterritoriality of business registration) and others. However, in reality the effect of the above-mentioned Law has led to the revival of such already partially forgotten phenomenon as raiding, i.e. illegal takeover of enterprises. In order to eliminate those negative effects, the Verkhovna Rada of Ukraine adopted amendments to the Criminal Code of Ukraine and strengthened criminal penalties both for the individuals directly involved in illegal takeover of enterprises and for the people who actually acted as accomplices, namely state registrars and notaries. In addition, in late 2016 legislators corrected the mistake, which caused many illegal takeovers of enterprises, through the adoption of a law that abolished provisions of extraterritoriality of commitment of registration actions. Special consideration should be given to the trends in court practice in the sphere of criminal law awaiting us in 2017. Currently, there are firm grounds to say that the current year will be one of the most active in the field of criminal justice. This is because of the long-awaited completion of pre-trial investigation and transfer of high-profile criminal proceedings for trial. For example, the case of the shooting of protesters during the Revolution of Dignity, the case against former Ukrainian President Viktor Yanukovych, which are currently being considered by the Prosecutor-General’s Office of Ukraine. In addition, the public will require some definite result from the work of newly-established anti-corruption agencies, namely the National Anti-Corruption Bureau of Ukraine and the Specialized Anti-corruption prosecutors, because two years of pre-trial investigation is more than sufficient to transfer a case to court. However, the most important event that will have a direct impact on the further development of court practice will, no doubt, be the professional competitive process of selection of candidates for posts of judges of the new Supreme Court and, in fact, the very beginning of the activity of the said court.